Born in Des Moines, Iowa: attended San Francisco Art Institute (B.F.A 1963, M.A. 1965). 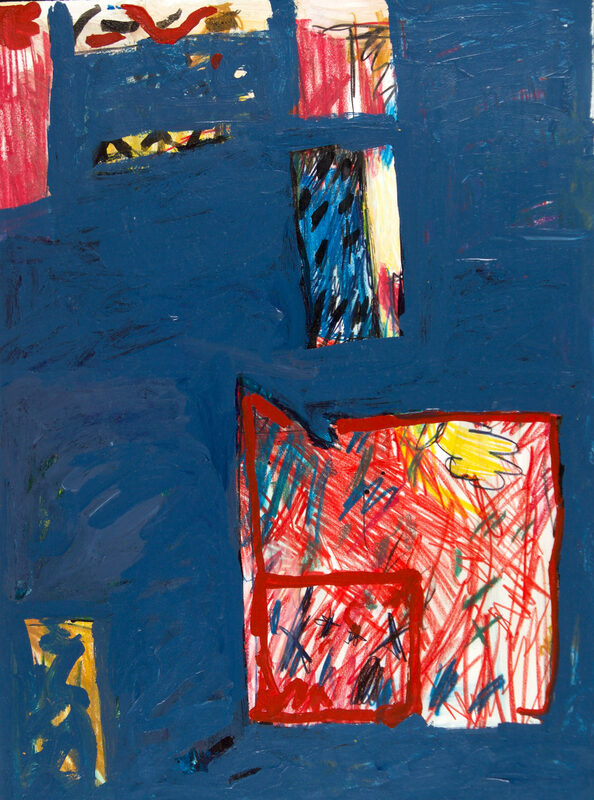 His abstract paintings of the 1970’s most often on large sheets of paper, combined broad color areas – and an occasional “window” resembling the loose geometric structures of Diebenkorn – with softly stroked, gestural surfaces that recalled the lyrical abstraction of Philip Guston. Kennedy began painting early, as a participant in the California School of Fine Arts’ pre-college class for gifted high school students. In 1959, when he entered the school’s regular college program, he found himself truly in his element. He readily absorbed the lessons of his teachers Frank Lobdell and Jack Jefferson, as evidenced by the monumental scale, dramatically intersecting organic forms, heavy impasto surface, and earth-toned palette of. About 1970, Kennedy initiated a considerable about-face: He switched from oil to acrylic. Moreover, while he occasionally continued to tackle large paintings on canvas, he focused his attention on 25 x 30” sheets of paper. With this change in materials, Kennedy finds his own voice. The rapid-drying acrylic facilitated the artist’s fast-paced working style of building up the surface. The paint’s thinness helped Kennedy to maintain a transparence that became central to his art. The paper size fit him perfectly. In Kennedy’s hands the roughly 2 x 2.5 dimensions convey both the authority of a much larger painting and the intimacy of a drawing page. The paintings radiate immediacy. Their vibrant frequency primary colors remain fresh and inviting to this day. 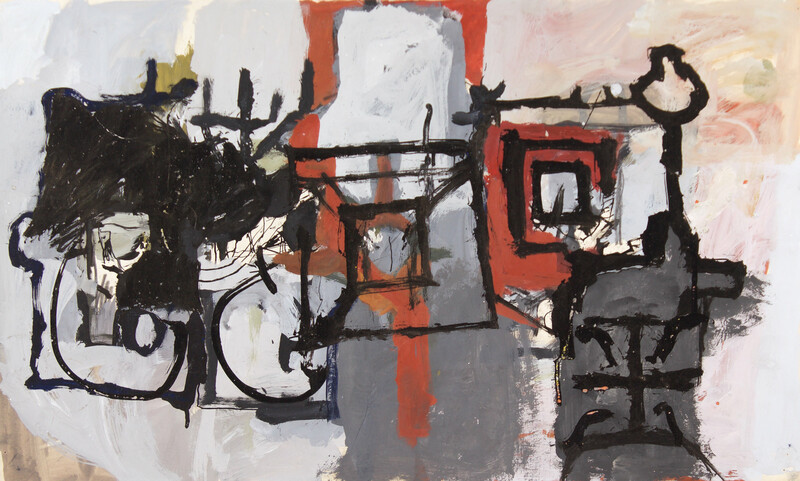 While color is the hero of Kennedy’s art, composition plays an essential supporting role. The critics applauded the first exhibition of these works. Alfred Frankenstein wrote: “They are fields of paint simply by contrast to the window-like openings; they are rich and resonate in their deep blues and reds and extraordinarily vigorous in their brushmanship.” He goes on to label Kennedy “ a genuine talent.” In a review later the same month, Thomas Albright declared, “Kennedy’s magnificent show has already been review by Alfred Frankenstein. To his words I can only add, “Amen”. – 1956-59 Attends Abraham Lincoln High School in San Francisco CA. Above average student in design, illustration, commercial art, and stagecraft—painting he studied on his own at home. Enrolls in the pre-college painting at C.S.F.A (later SFAI), with friend Jerry Garcia. Studies with Wally Hedrick. “Kennedy has done outstanding work during that time. 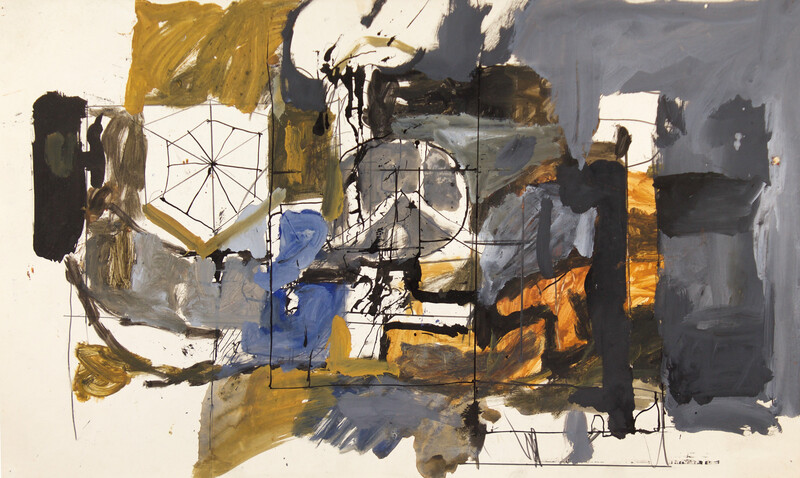 He has a distinct feeling for painting…and understanding of what it is all about, that gives his work and thoughts a maturity and integrity.” –Wally Hedrick’s letter of support of Kennedy’s request for grant to attend C.S.F.A at the college level, May 2, 1959. -1959-63 Enrolls as freshman at C.S.F.A in Fall, 1959. Studies painting, drawing, sculpture, etc.,..with (among others) Julius Hatofsky, Frank Lobdell, Jack Jefferson, James Weeks, Alvin Light, Fred Martin, Bruce McGaw, Manuel Neri, Nathan Oliveira, David Tolerton, A brilliant student of painting and drawing; awarded scholarships five semesters. Granted B.FA., Spring 1963. -1971 Exhibition “Painted Images, “ Oakland Museum, with Charles Strong and Donald Weygandt, curated by Terry St. John. 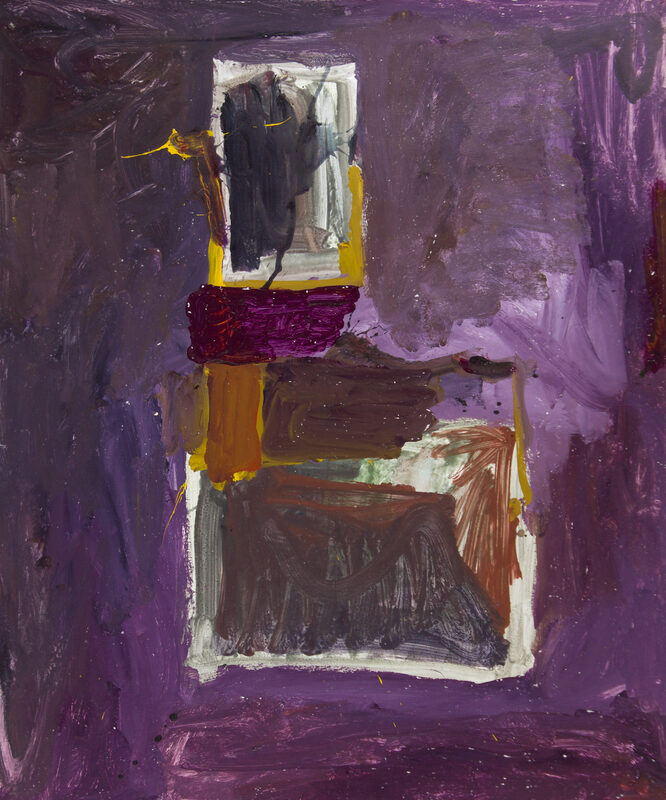 “A painter of abstract images… but his expression is more withdrawn, introverted and lyrical…deep blue, purple, yellow or green…they flow through ragged windows of white space to emerge and float upon the surface of the paper, scattering across the color fields in loose, fluid rhythms.” –Thomas Albright, “Three at the Oakland Museum,” San Francisco Chronicle, September 11, 1971. -1975 Third Solo Exhibition at Triangle Gallery.